While the debate over the wisdom of concluding the Iran nuclear deal continues, this article takes a slightly more involved intellectual approach to explain why an alternative to the long-standing sanctions was likely inevitable. This is especially the case if there is a sincere desire to see Iran incorporated long-term into the global community and not simply continue to punish it as a pariah into political perpetuity. Several conceptual and theoretical explanations have been used to highlight key indicators that counteract the effectiveness of sanctions within the Middle East and how the spread of certain ideologies and social practices have impacted the success of international mediations. This microcosm analysis of the various social variables, mostly stemming from historical and political events, supports the need to judge more harshly the long-term efficacy of sanctions. It provides an analysis concerning weapons proliferation within Iran and will question the overall potential success of sanctions against such targeted states. 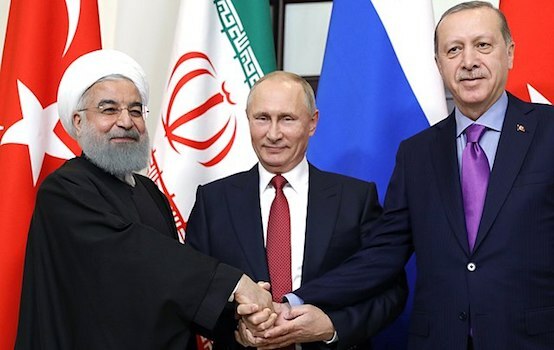 In an effort to provide a clearer scope of imposing sanctions against independent states, it is required to assess the overall political stratagem. According to many political theorists, the application of sanctions against various states has become the most popular alternative to military force that may otherwise lead to war. Past war efforts, however, have provided a misguided concept of the efficacy of sanctions, implying that a one-size fits all approach will produce identical results. “Sanctions — either bilateral, in conjunction with informal coalitions of like-minded countries, or through international organizations like the UN — have long been a staple of U.S. foreign policy. Their appeal is obvious: sanctions provide an intermediate step, between normal negotiations and outright hostilities, in our attempts to a) alter the behavior of foreign states or even b) force the removal of their governments. There is a voluminous and disputatious literature on the effectiveness of sanctions.” (Baker) Put another way, the over-popularity of sanctions as a policy refuge demonstrates a lack of awareness within the international political spectrum, implying that all political arenas are the same and general applications can bring about similar change. This is simply false. Unfortunately, it was not until the recent failures of multiple Western-imposed sanctioning projects that security theorists began to see key variables that have contributed to the lack of effectiveness within such measures. Such factors have included: considering the targeted state’s form of government; levels of state patriotism; and unilateral control. To begin with, assessing the form of government of the subjected state has proven crucial in generating success of applying sanctions. “Because of different institutional incentives, economically punishing sanctions are less likely to succeed against a nondemocratic target than against a democratic target. Sanctions increase rents. This benefits nondemocratic leaders more than democratic ones. Also, nondemocratic leaders have smaller winning coalitions, so their core constituents suffer less from sanctions than democratic leaders.” (Souva) This certainly was the case with Iran, and other targeted states with authoritarian-led regimes, in that democratic societies are human rights driven and tend to focus on the overall well-being of their societies. Democratic states in general maintain multiple parties. Majority-led parties can then petition their views by vote which can in turn push sanction compliance. On the other hand, authoritarian-led regimes like Iran lack this outlet, resulting in the authority of the government being the only and final determination of sanction negotiations, regardless of differing views, isolation, or general populace suffering. In terms of considering state nationalism and the successful outcomes of sanctions, research has proven that applying sanctions to countries with strong nationalist perspectives will most likely fail. This mitigating context is widely seen throughout countries with strong anti-Western perspectives and can definitely be applied to the case of Iran. “Nationalism is as strong among Iranians as it is among Americans. And it is easy to imagine a similar ‘rally round the flag’ effect were the United States to face foreign pressure aimed at altering our policies. It is one of the curiosities of our foreign policy that Americans often assume that foreigners will act in ways that we ourselves never would.” (Baker) As seen with Iran, the original premise of institutionalizing sanctions was to negatively impact the country’s economy, hoping to turn the people against its own government. The reality is that the Iranian state, along with many other authoritarian countries, maintains strong anti-Western perspectives that often engender a counter-reaction to sanctioning efforts. Such countries often effectively lay blame on Western leaders for increasing levels of poverty that then contribute to the growth of stronger nationalist perspectives and thus increase the long-term resistance against Western sanctions. Multilateralism, also explained as the concept of international control, has been identified as a contributing variable to the overall effectiveness of state-centered sanctions. Due to many economic interdictions often involving the international cooperation of surrounding states, individual compliance by other countries is required. 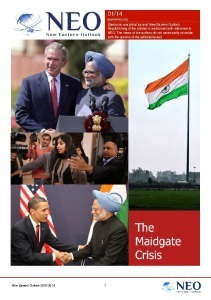 “Multilateralism, according to Ruggie’s definition and quoted by Martin, ‘requires that states sacrifice substantial levels of flexibility in decision-making and resist short-term personal temptations in favor of long-term universal benefits.’ Effectively, international cooperation is often described as a product of national self-interest in an increasingly interdependent world.” (Golliard) Thus, multilateralism holds that independent states must not only be aware of their individual contributions but also that they sacrifice the possible individual benefits of pursuing their own interests. This is quite indicative of one of the ways the Iranian case went wrong, as some nations contributed to Iran’s resistance simply by not dismissing their own international personal benefits in order to ensure sanctioning success. Thus, the form of government, levels of nationalism, and multilateralism are all factors to be considered when looking at the potential success (or lack thereof) of sanctions as a general phenomenon. 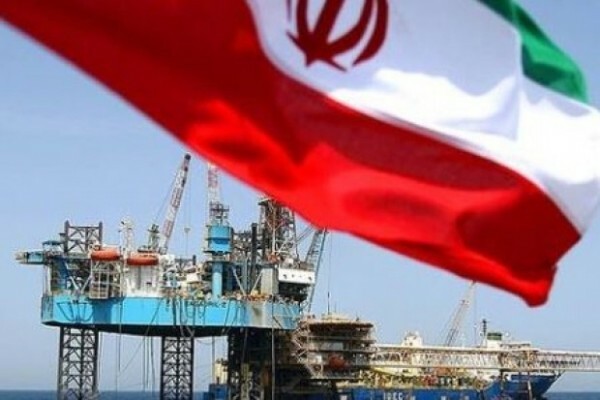 The presence of these elements, as well as their intertwining relationships, can often undermine the overall efficacy of employing sanctions to coerce change within a subjected state like Iran. In “Thinking Strategically about Sanctions,” the author Olivier Schmitt discussed the onset of factors in deciding to introduce sanctions against a country. This especially considered the overall environment of the subjected state and how that might produce primal behaviors that would ultimately lead to future violent conflict. “And once the process is launched, studies of potential radicalization of the actors are needed. I am not here talking about a ‘path-dependency’ phenomenon. Rather, using the ‘rise to the extremes’ theory, I suggest that the beginning of sanctions imposition can have a radicalizing effect on the targeted country.” (Schmitt) Therefore prior to enforcing sanctions on such poorly-positioned states like Iran, someone should have acknowledged these negative characteristics independently and how they can lead to negative results and further disastrous outcomes. After reviewing the conceptual shortcomings of instituting sanctions and assessing theoretical flaws, it is clear for many reasons that UN-led sanctions were arguably always going to fail majorly in pushing Iran to cease its nuclear enrichment program or soften its general anti-Western stances. In spite of multiple efforts at coercion by the U.S. and facing heavy declines in Iran’s economy, the nuclear enrichment program not only continued to exist, but the authority of the theocratic regime was able to fairly easily handle the largest public resistance against it back in 2009 with the Green Revolution. Therefore it was arguably always imperative to the future of international security that policymakers and diplomats alike began to consider alternative approaches to the subject of deterring Iran’s nuclear weapons capabilities. This alternative would have to be something not exclusively based on punishment and isolation but rather inclusiveness and mutual accountability and responsibility. For these reasons the new Iranian deal, even with misgivings and far from perfect, is a step of progress compared to the old long-standing sanction regime. Dr. Matthew Crosston is Professor of Political Science and Director of the International Security and Intelligence Studies program at Bellevue University and Dianne Valdez who just completed her Master’s degree in the International Security and Intelligence Studies Program at Bellevue University in Omaha, exclusively for the online magazine “New Eastern Outlook”.